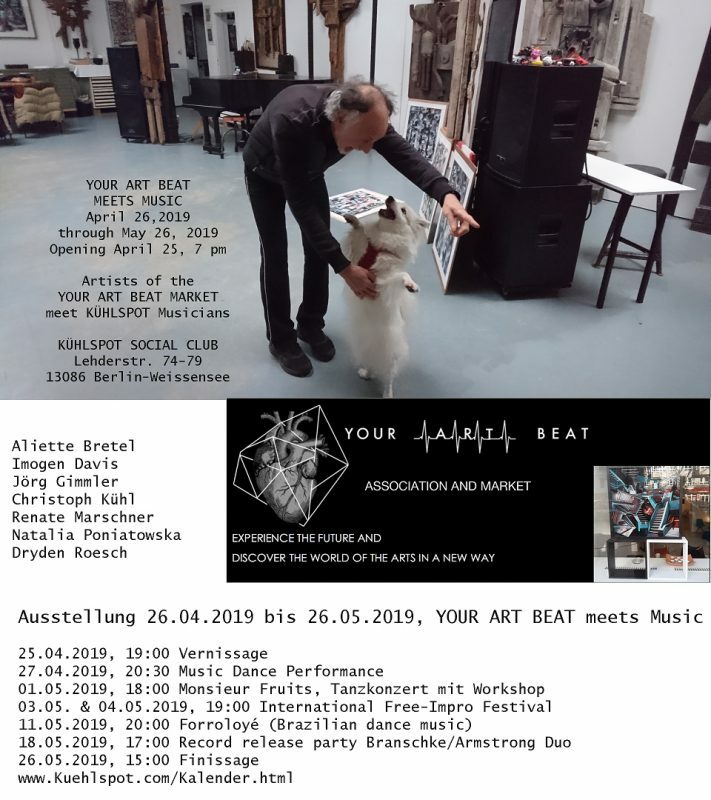 Kühlspot Social Club is a venue for creative music, theatre, art and culture in Berlin Weissensee. They emphasize “social” in their perspective on cultural development and try to promote an inspiring community of artists and art lovers. 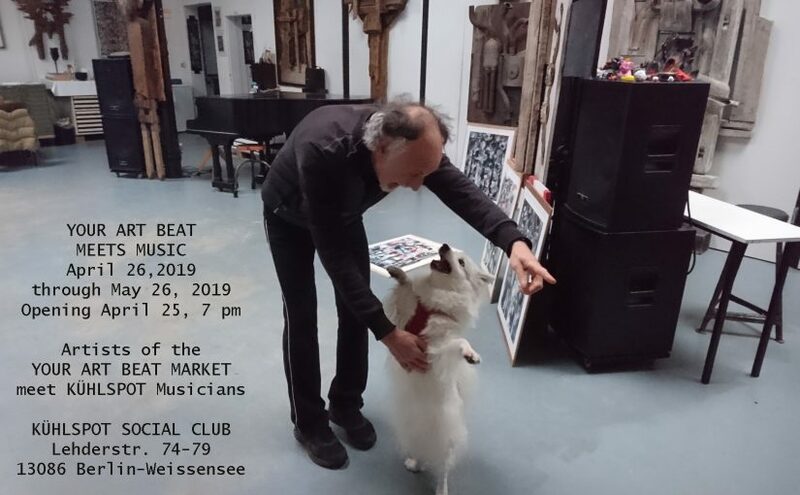 In the field of music, the main focus is on improvised music, jazz, dance music of all kinds, including improvised dance music, tango, balfolk, and everything always live. In the course of the season – there is a break in late summer and in winter – they have one to three events per week, two to four art exhibitions per year and occasional dance parties. Performance art, theatre events, and action painting with improvised music are also part of the spectrum of the program. The room can accommodate up to 70 people. Kühlspot is the former studio of the Berlin artist Siegfried Kühl, who died in 2016. His son, the artist Christoph Kühl, runs the Kühlspot. The art of Siegfried Kühl is permanently exhibited and contributes essentially to the great ambiance. 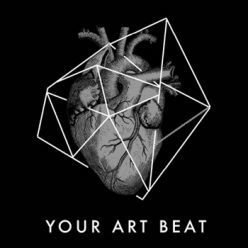 YOUR ART BEAT is happy to be part of the Kühlspot community and exhibit some of its artists, among them Christoph Kühl.